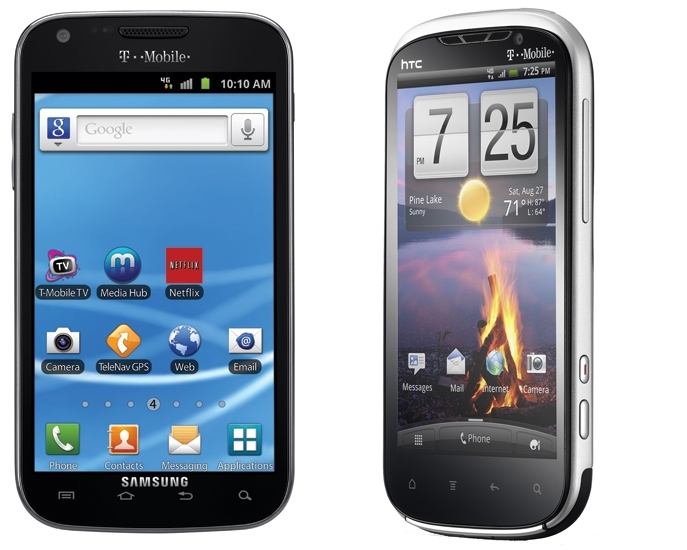 First look at HTC Amaze 4G (Ruby) and 4G Samsung Galaxy S II X heading to TELUS. TELUS customers looking to stick with their carrier might have been green with envy for the past few months with a slew of dual-core powered android smartphones going to competitors Rogers and Bell. The envy shouldn't last much longer as TELUS is confirmed to carry the Dual-HSPA+ capable Galaxy S II and rumored to get the just announced and also Dual-HSPA+ capable HTC Amaze 4G/Ruby. Check out some of the first hands-on videos and more info on these two beast phones after the break. T-Mobile's unveiling of the Amaze 4G and the Galaxy S II has shed light on a few pieces information that could be very interesting to many people. For one the Amaze 4G/Ruby is equipped with the same camera as the myTouch 4G Slide on T-Mobile, one of the best cameras on any smartphone and probably the best on any HTC smartphone. Another interesting piece of information is that the HSPA+ speeds can theoretically reach 42mbps but will likely hover between 8-20mbps which is VERY solid compared to the current crop of 4G phones available at TELUS. Check out the videos below for more info.